What's the "Presale Test" that's for sale in the webstore? Is it the new album? I hope so since I just placed an order for it. I couldn't pass up the opportunity to get a signed copy of the new album. 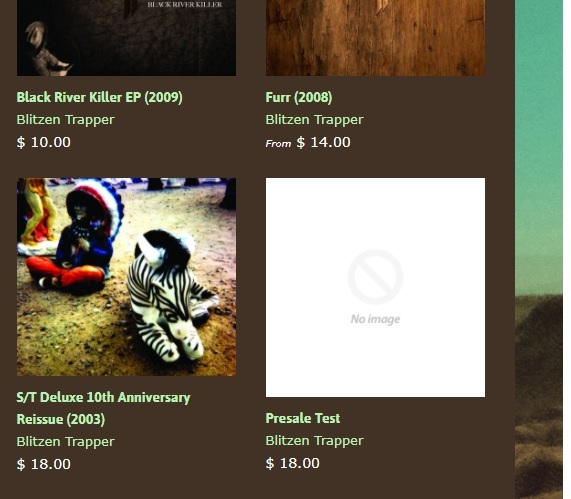 I can only assume the new album has the snappy title of "Presale Test" - and is available on a white label pressing. Well, now there real album is up for pre-sale and based off the order number for the 'Test' and my order number for the album, I think I was one of the first five people to order it. Signed and Pink, just how I like my vinyl! Pre-ordered the vinyl. Hope I made the cut for the pink! Can't wait for this. New BT record season is my favorite time of year. Well, we've been in the 70s for awhile. Why not the 80s? In case you missed it , 2 tracks are available to download, stream..
Also Spotify - but they pay peanuts. The new album landed on my doorstep today. And it's great! Pink-Swirled vinyl, and autographed by the band. I am one happy camper!